Saban’s “Go Go Power Rangers,” a song that inspired a generation of ’90s kids, was almost excluded from the final cut of Lionsgate’s live-action Power Rangers reboot. 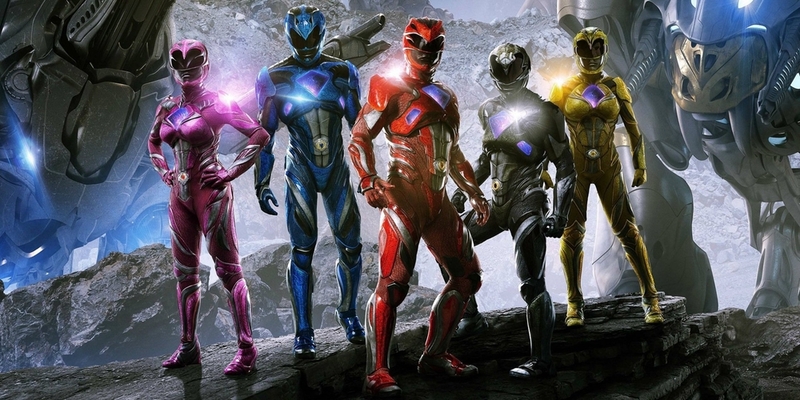 Now available on home video, the franchise reset opened up a new origin story for those famous Rangers, and while the less-than-stellar box office numbers have cooled talk of a sequel – for now, at least – many are still holding out hope that Lionsgate and Saban will get the gang back together for another rip-roaring romp…possibly with Lord Zedd in tow. But as is so often the case when it comes to Hollywood blockbusters, the home video release of Power Rangers comes packing a raft of extras, including an audio commentary featuring director Dean Israelite and John Gatkins. First spotted by the folks at Power Rangers Now, by the time the film reaches the climactic battle against Goldar, at which point all five Rangers are piloting their individual Zords, both Israelite and Gatkins touched on their decision to include the classic Power Rangers theme. Turns out things could have played out differently, as Israelite admitted that the original song sparked a “big debate” internally, before all parties came to the conclusion that Saban’s “Go Go Power Rangers” simultaneously honors a 25-year legacy and delivers a rousing score to what is arguably the film’s main event. Oh, the theme was a big debate. Should we keep it, shouldn’t we keep it? But at the preview screenings, we watched it play, and it felt so good in the moment. And I like what [Gatkins] said – that it honors the show for 25 years in the moment that we’ve now culminated in them morphing. So they morph, and it’s not about culminating these 2 hours, but it’s about culminating these 24 years and paying respect to all that. Power Rangers is now available across 4K Ultra HD, Blu-ray, DVD, and Digital HD. Did you catch Dean Israelite’s live-action revival on the big screen? If so, do you believe it warrants a sequel? As always, let us know your thoughts via the comments section.